Located in the heart of Kuching, this hotel is within 1 mi (2 km) of Sri Srinivasagar Kaliamman Temple, Tua Pek Kong, and Sarawak Museum. St. Joseph's Cathedral and Kuching City Mosque are also within 2 mi (3 km). This hotel features a restaurant, a coffee shop/café, and a 24-hour business center. Free WiFi in public areas and free self parking are also provided. Additionally, 24-hour room service, a business center, and conference space are onsite. All 180 rooms provide conveniences like refrigerators and coffee makers, plus free WiFi and 24-hour room service. LCD TVs, minibars, and free newspapers are among the other amenities available to guests. The hotel offers a restaurant and a coffee shop/café. A computer station is located on site and wireless Internet access is complimentary. A 24-hour business center is on site at this 3-star property. Event facilities measuring 13452 square feet (1250 square meters) include conference space. This business-friendly hotel also offers tour/ticket assistance, concierge services, and complimentary newspapers in the lobby. Onsite self parking is complimentary. Grand Continental,Kuching has designated areas for smoking. 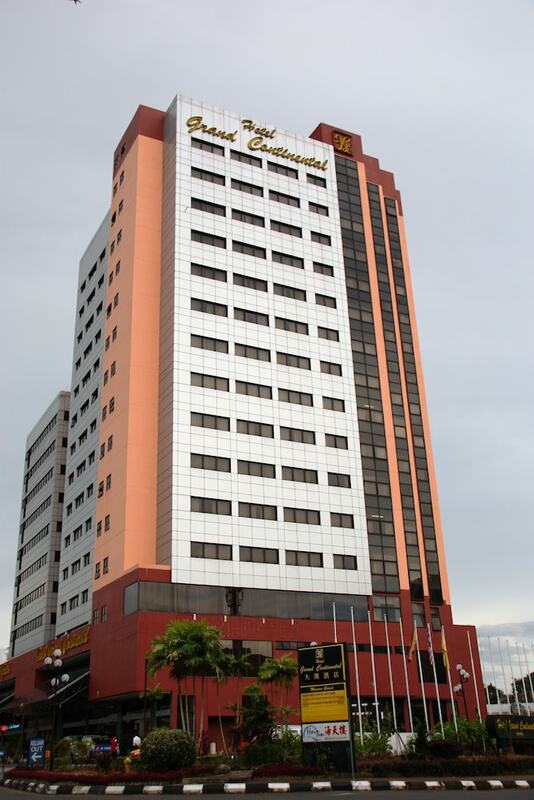 Grand Continental,Kuching has a restaurant on site. Rollaway/extra beds are available for MYR 48.00 per night.